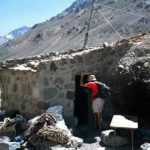 This trek is a very nice walk, which will face you with a thrilling experience and a great encounter with nature. 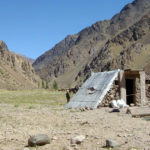 The trek will take you through the Vacas Valley and after three days of walking we’ll arrive to the base camp Plaza Argentina. You’ll share the exclusive world of climbers and expeditions from around the world, ready to reach the summit. This seven-day trek has a medium level of difficulty. That is why it is the best option to experience a special contact with the mountain. Nature surprises us with the contrast between the rich and colorful vegetation and the magnificence of the mountain where the cold and altitude play their part. Plaza Argentina will give us the opportunity to share experiences with mountaineers from around the world who are ready to reach the summit. The sensation of the moment it can not be transmitted . We want you to experience by yourself. Start walking with us !. Day 01 · Penitentes – Altitude: 2700 mts. Day 02 · Penitentes / Pampa de Leñas – Altitude: 2950 mts. Day 03 · Pampa de Leñas - Casa de Piedra – Altitude: 3240 mts. On this day, we advance towards an intermediate camp, passing through the Quebrada de Vacas, for 6 to 7 hours. 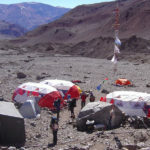 This is where we will be able to see the first sight of the Western Face of the Aconcagua. 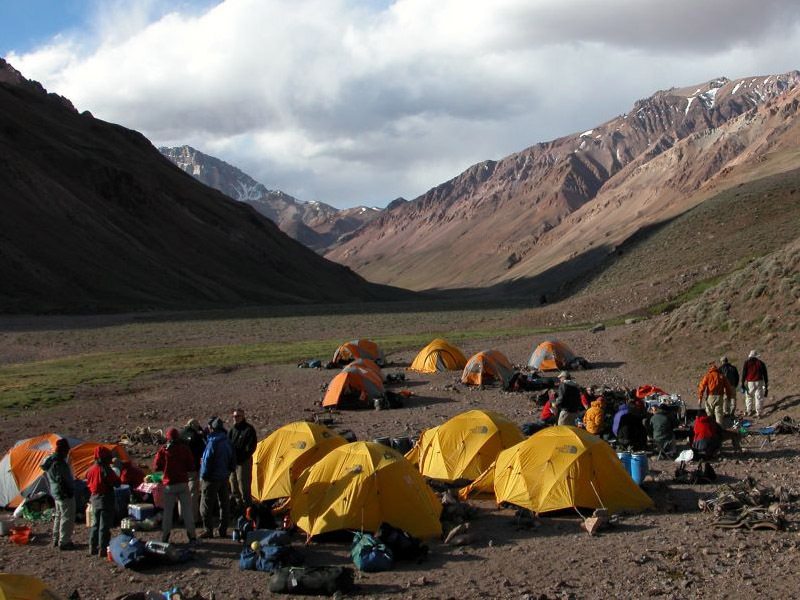 We spend our last approaching night, before reaching Base Camp.Trekking duration: 6 to 7 hours – Accommodation: Double tents – Meals: Breakfast – Lunch –Dinner. 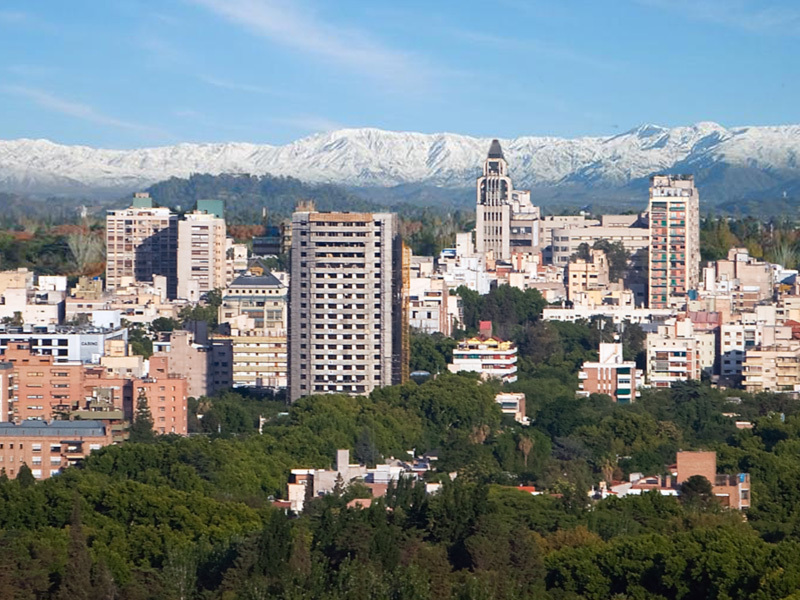 Day 04 · Plaza Argentina – Altitude: 4.200 mts. 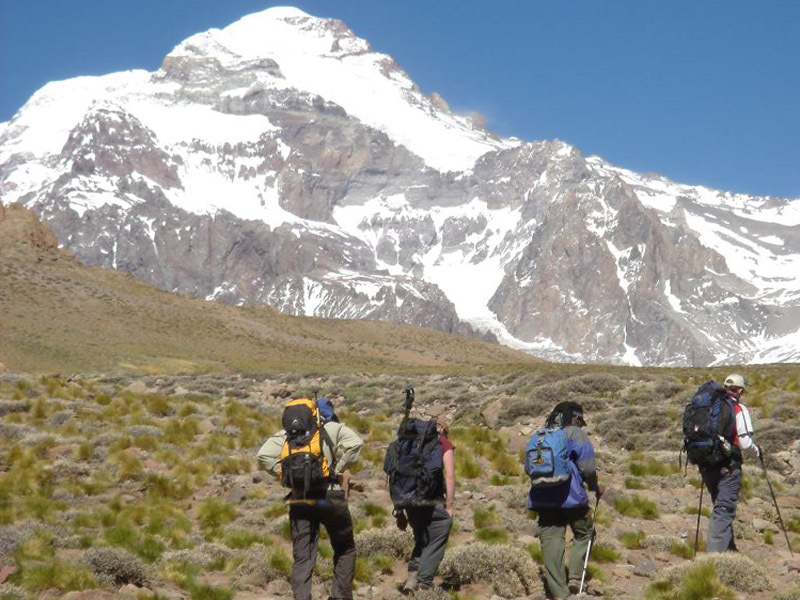 We start trekking for 5 to 6 hours, ascending the Relincho steep slope, which takes us to Inferior Plaza Argentina. This is where we will be able to see the last native vegetation before climbing towards the glaciers, where Plaza Argentina is placed. Trekking duration: 5 to 6 hours. 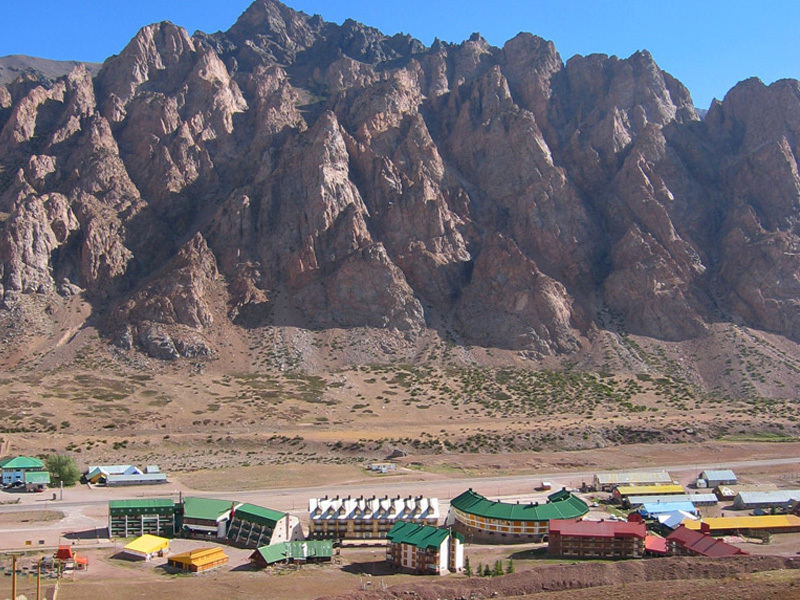 – Accommodation: Double tents / Dormitory Dome – Meals: Breakfast – Lunch – Dinner. Day 05 · Rest day at Plaza Argentina – Altitude: 4.250 mts. This day is a rest day and a good occasion to explore the local terrain. 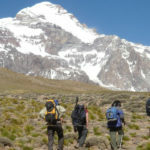 We will walk on Plaza Argentina surroundings, always with an incredible view of Aconcagua´s East Face. 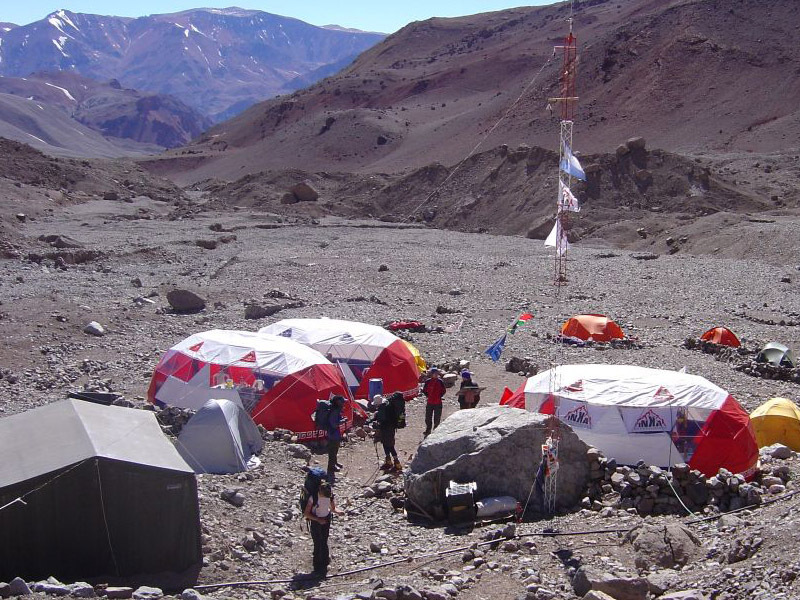 Plaza Argentina is where hundred of expedition begins the expedition to the summit, so you can talk and share experiences with people of all around the world.Accommodation: Double tents / Dormitory Dome Meals: Breakfast – Lunch – Dinner. We start the descent from Plaza Argentina to Pampa de Leñas. Our equipment will be carried by mules, so we’ll just take a light backpack. 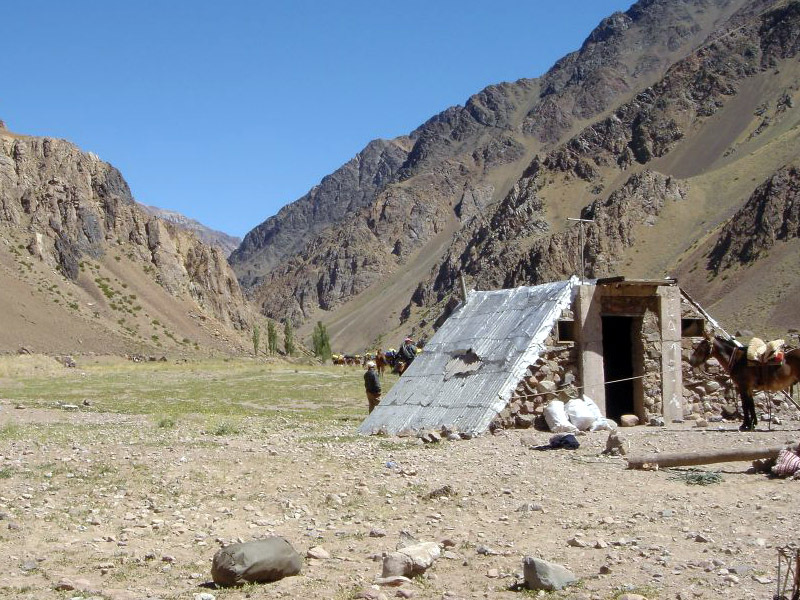 Once we arrive to Pampa de Leñas we’ll prepare our sleeping tents and enjoy the view and this peaceful place. Accommodation: Double tents – Meals: Breakfast – Lunch Box –Dinner. Transport in a private vehicle to and from Penitentes – Punta de Vacas in a private vehicle. 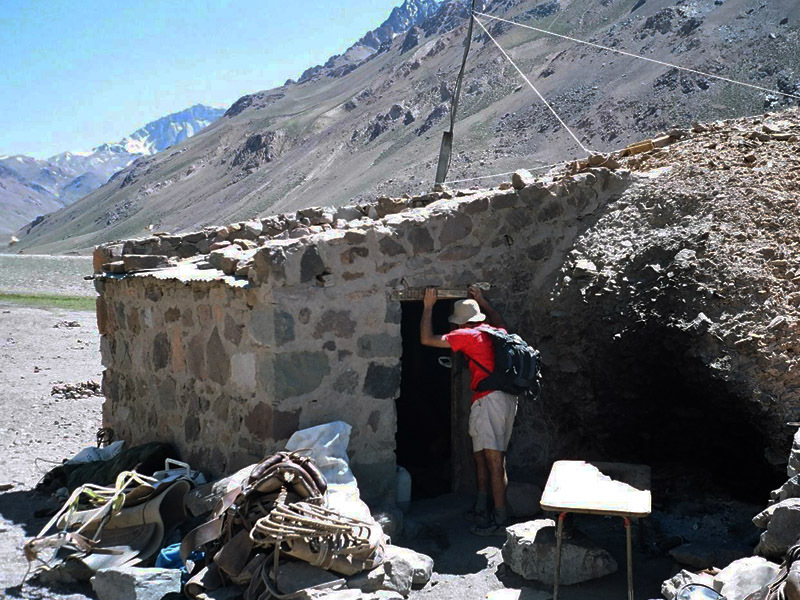 We take you from our office in Penitentes to the entrance of Aconcagua Park, to start the trekking. Mules for common equipment transportation from Penitentes to Plaza Argentina back and forth. It means you won’t have to carry any tents or extra weight besides your personal gear. We own tame mules and the carriers are experienced, they know and handle their work with these animals, through family tradition. We also include 15 kg/person from Penitentes to Plaza Argentina for personal equipment. 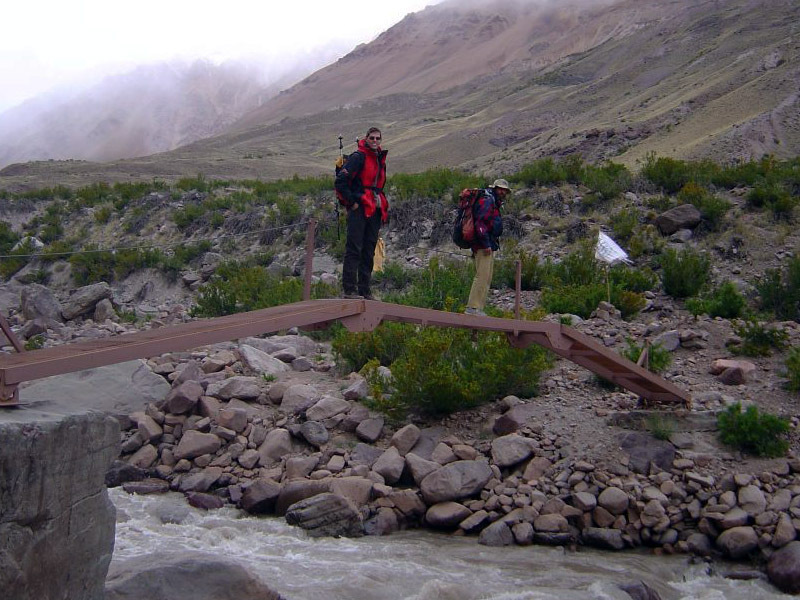 Pampa de Leñas y Casa de Piedras: All nights of the trekking at double tents, Full Board. 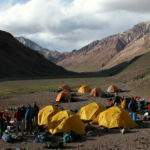 Plaza Argentina: All nights of the trekking at double tents or in Dormitory Dome, Full Board. The dining domes are available only at Plaza Argentina. They are completely equiped with tables, chairs, dishes and electricity, to provide the highest comfort and quality services. You will be attended by our Camp Team, in charge of preparing meals and of offering an excepcional service, a friendly treatment. We provide our clients with the best mountain tents available. Also we have exclusive dormitory tents for 4 or 8 persons, with bunk beds, electric light and carpet. We have private bathroom for our clients. We also offered hot water baths at convenient prices. Fill the form below to contact us and get departure dates and prices.